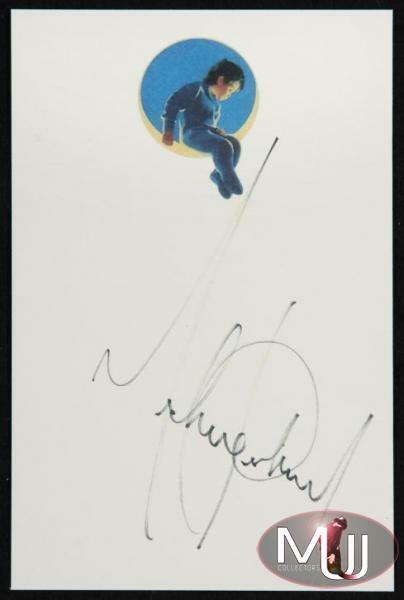 A single sheet of custom Neverland Valley Ranch stationary paper with the Neverland Valley "boy in the moon" logo at top signed by Michael in black marker. Sold by Julien's Auctions (Lot #409) as part of a lot which sold for $3,250 at their 2010 Music Icons auction. All screen captures are the property of their respective owners.